Founded in 1932 to promote agricultural and industrial progress in this region the Noorat & District Ag & Pastoral Society has been conducting an annual show every year. The Noorat Show is held on the third Saturday in November each year and is one of the largest one-day shows between Geelong and Mt Gambier. The Show boasts an amazing variety of local and not-so-local businesses, is a showcase for regional livestock, working dogs and horseflesh and provides an array of entertainment for the whole family throughout the day. Held at the Noorat Recreation Reserve in the shadows of Mt Noorat . . . . a perfect venue for a great day out. Come and join us at one of the best country shows around ! An interesting bit of history . . . . Here's an article that appeared in the Camperdown Chronicle 1935 when the Noorat Show was opened by the Governor of Victoria Lord Huntingdale. Noorat and the district . . . . The township of Noorat is nestled at the base of Mt Noorat, an old volcano, in south western Victoria, not far from Camperdown, Terang and Mortlake, and only 40 minutes from Warrnambool. Noorat is in the middle of dairy country, a legacy of the volcano's eruptions thousands of year ago, now providing beautiful rich, dark soil that supports the active dairy industry through the region. 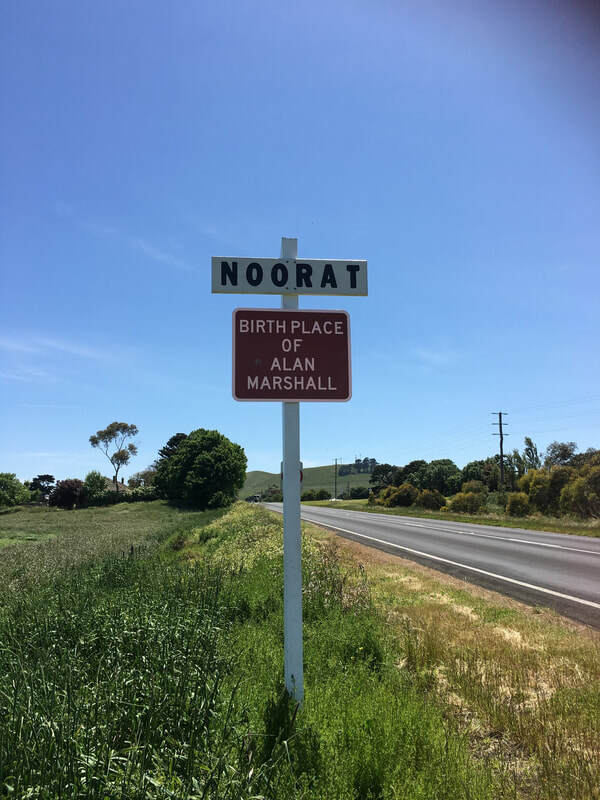 Noorat is also the birthplace of Alan Marshall, author of "I Can Jump Puddles", which tells the story of his early years growing up with challenges after suffering polio.